The Samsung C27HG70 is just $426 on Amazon today. We love Samsung’s CHG70 curved FreeSync 2 display despite the hefty $600 price tag for the 27-inch version and the even heftier $700 price for the 32-inch model. Today, you’ll love the 27-inch version even more since Amazon is selling this glorious HDR display for $426. Samsung’s monitor has been dropping in price lately—it was $490 just a few days ago—but still, $426 is the monitor’s all-time low, and the first time it’s hit this price. 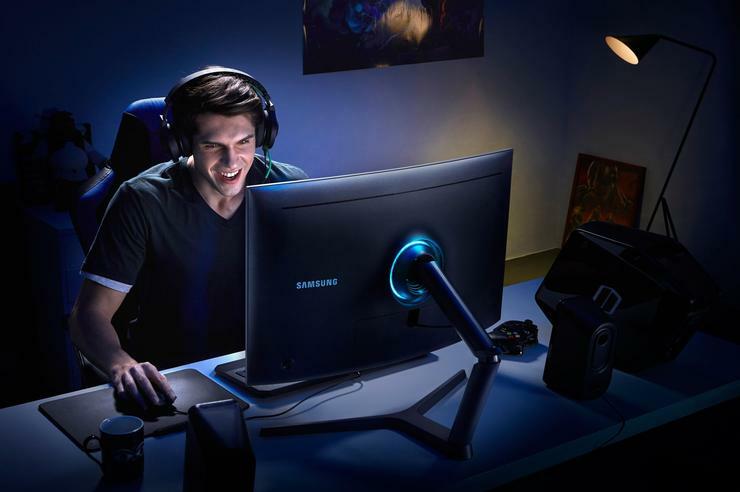 “The Samsung CHG70 is a world-class monitor; the best I’ve ever used, and one that offers a ton of value despite its premium price tag,” we wrote in our critique of the monitor. And though our pick for the best monitor has since been bestowed on the even more decadent (and pricey) $2,000 Acer Predator X27, this Samsung display is still a stunner. Samsung’s CHG70 is the epitome of a luxury monitor, checking almost every box your could ask for. It features Quantum Dot technology that enables it to display more shades of color with support for up to one billion color shades, and Samsung says its color fidelity is 125 percent of the sRGB spectrum. It’s also a high-dynamic range display with inky darks and vividly bright colors for even better detail and contrast. If you’ve ever seen HDR in action, it’s mind blowing. If I had to choose between a 4K display sans HDR, and a 1440p monitor (like this one) with HDR, it’d be a no-brainer—I’d go for HDR every single time. Everything you see on screen is just that much more vivid and clear in HDR. This display packs some serious gaming chops, too. The CHG70 is also rocking FreeSync 2, AMD’s latest variable refresh rate technology, that makes your gaming experience smoother and stutter free with a compatible AMD Radeon graphics card. It pumps out frames at a blazing-fast 144Hz refresh rate, paired with a lickity-split 1 millisecond response time. When we looked at Samsung’s CHG70 earlier in 2018 the biggest problem was Windows 10’s wonky native HDR support. Those HDR concerns were ameliorated in the spring, however, with the April 2018 Windows 10 Update, so don’t let them scare you away from this frankly superb monitor.